Thank you for your business with Samurai Translators. Visa and Master card are acceptable. Please enter your name on credit card (First line) and email address (Second line) below and click "Submit". You will be asked to fill in your credit card details on the next page. 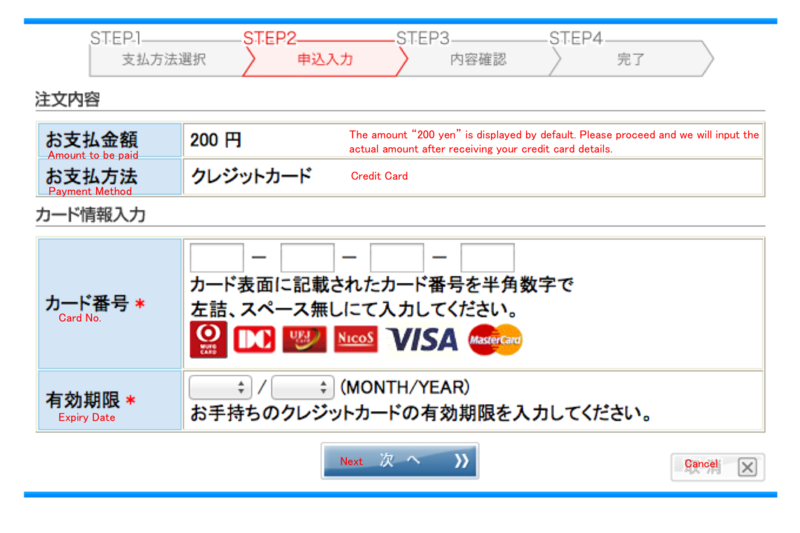 On the next page, the amount to be paid is shown as "200 yen" by default. Please proceed and we will input the actual amount after receiving your credit card details.